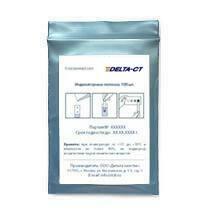 Silver test strips | ООО "Дельта хим-тэк"
The test is suited for the determination of silver in electrolyte bath. Method of application: Dip test strip into solution to be tested for 1 second and remove. After 15 seconds compare test strip with colour scale to determine the test result.